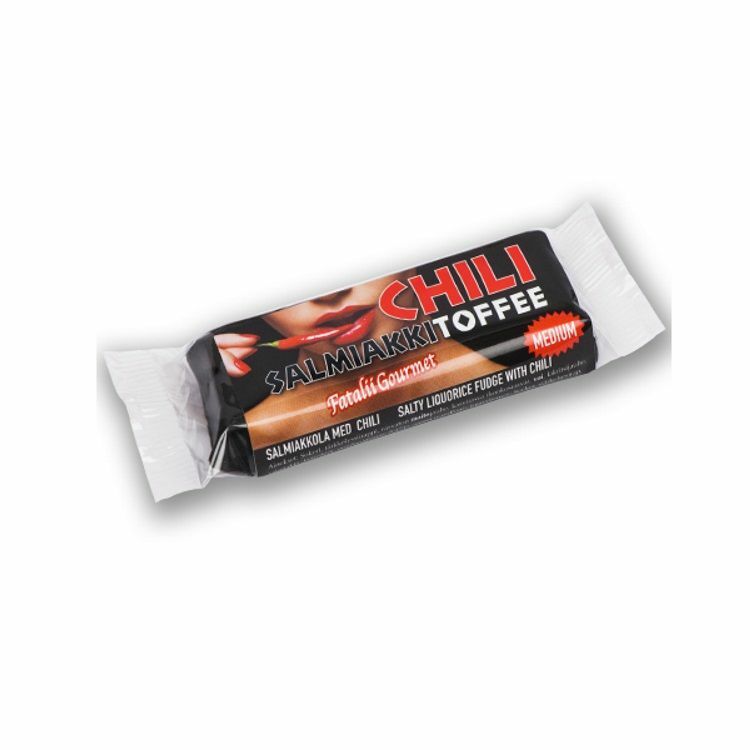 Delicious, mouth-watering salty liquorice toffee, with Finnish Fatalii Gourmet chilli, carefully selected with a selection of delicious chili varieties with a gentle flavor profile. The combination of the highest quality salty liquorice and the most delicious chili offers a great experience! Delicacy and just the right amount of heat, gives you a nice addiction, you just heve to get more! The toffee of the Finnish Sahlman confectionery is soft and does not stick to the teeth. Ingredients: Sugar, starch syrup, skimmed milk powder, vegetable fat (coconut fat), butter, liquorice powder, charcoal, emulsifier (E471), FG chilies, vanillin.